Have you ever lost your destination while hunting in the jungle? It’s the most terrible and ridiculous experience we had! Like, you have none around you to where you are and how can you get out of here. Being hunting enthusiasts, We believe many of us had this kind of experience, and we know how bad experience it was. If you don’t see the way out then, it’s a big problem, and if the card isn’t in your favor, then you can face any problem (like wild animals can attack you, etc.). That’s why we suggest everyone carry one of these best hunting GPS under $200 while hunting alone or even with a team. If you have a portable GPS with you, then you don’t need to worry, if you are lost still it’ll help you out. Now we know, GPS devices are usually expensive, but your life is more expensive than it, right? Still, if you don’t have that much money to buy one, we are here to help you. 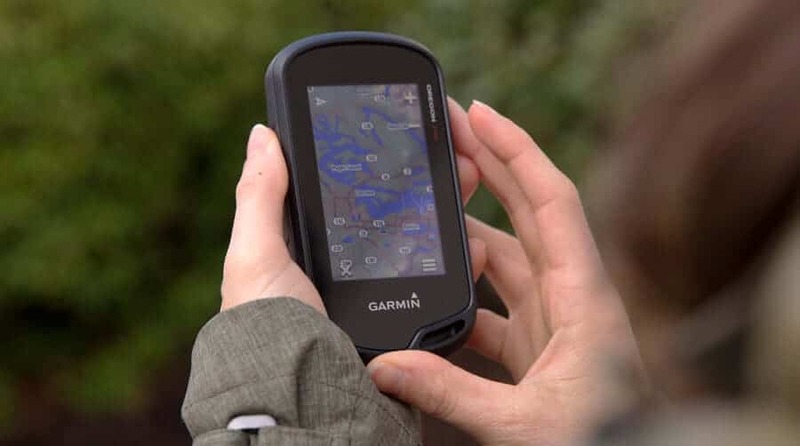 We have four recommendations of best hunting GPS on budget. We hope now you’re on the same page and you can afford it. So, let’s get started! Shall we? 2.1" x 4.0" x 1.3"
1.7" x 0.9" x 2.9"
2.5" x 2" x 1.8"
Wait! Before starting the content, we have something to say! All the reviews are unbiased. All these products are personally checked by us, and we used all these while hunting. According to our experience, these are some best GPS under $200 you should have. One more thing, if you don’t know that much or if you are entirely new then we may think, why 3 out of 4 products are from Garmin? So, here is something you should know about Garmin. Are you looking for something small, lightweight but durable, accurate and convincing? If these features are your priority, then we’ve got the best choice for you. It’s Garmin eTrex 30x which is known as the small best. Don’t underestimate the little body of it. It has all the features that can change your life. So without wasting time let’s see, what are the features they’re offering us! It has a 2.2 inches display which is readable under bright sunlight and also in the night. The resolution of it is 240×320. You can load more map on it. The internal memory of it is 3.7 GB. Too low for you? Don’t worry, the micro SD card feature is also available. So now you can load all the maps you may need. You can save around 20 tracks and 10,000 points in it. It is available with a worldwide base map which is very helpful. It has a built-in electric compass and barometric altimeter. You can wirelessly share your information with well-matched devices. It also has a connectivity feature. You can connect any compatible Garmin devices without any wire connection. External Storage and internal storage of 3.7 GB. The capability of sending wirelessly. Subscription fee needed for all maps. If you’re looking for something small with advanced technology, then nothing can beat this beast. Are you looking for something that is very comfortable, waterproof and durable enough? If these are your first concern, then Garmin Foretrex 401 is something you’re looking for! It’s comfortable and cozy but not like your lazy friend who’s always late. It’s fast and durable. Why it’s comfortable? It because you can use it in your band through wristband. It feels like you’re wearing a smartwatch. It’s also waterproof so you can also use it while fishing. Feeling excited? Let’s see the features of it! It has a great GPS receiver with Hotfix which will give you the performance you’re expecting and response in the deep gorge and heavy tree covers. So, no compromise with tracking your location. The great feature of it is the heart rate monitor which will show your heartbeat rate. So health-conscious. It has an LCD of 100×64 pixels. The display size of the monitor is 1.42″ x 0.91”. The portable GPS has a dual position readout feature. So you can see your current position in several formats and even in audible form too. What can you see on display? It’ll show sunrise and sunset, hunting or fishing information, barometric altimeter, and electronic compass. High compassion GPS and accurate location. Long-lasting performance because of its lasting battery. Show the life-location in various format. If you’re looking for something for multiple purposes (like for hiking, fishing, hunting, etc.) within the affordable price, then it’s the best option for you. Are you looking for something like eTrex 30x but with a versatile look? 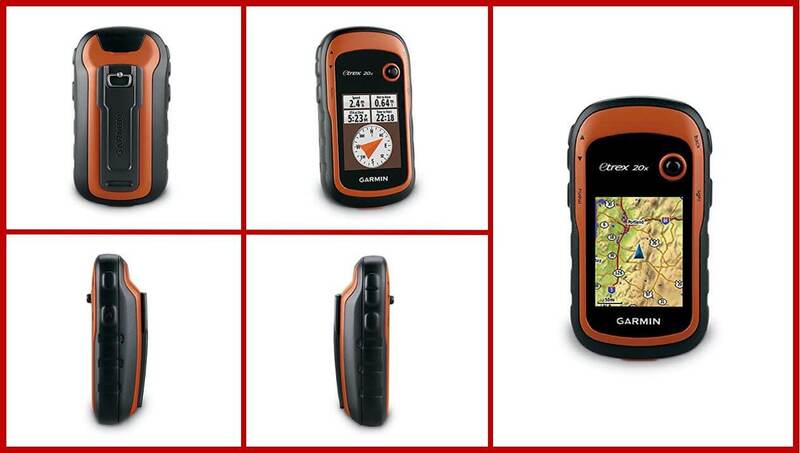 If it’s your wish, then Garmin has something for you. Well, it is the previous version of eTrex 30x. Undoubtedly, the 30x has more updated features and 30x is an improved version. The 30x has updated features it doesn’t mean 20x has nothing! It has the best functional GPS system which is very easy to use. However, if you want to shout out loud in your group then still we’ll recommend 30x to you. However let’s see, what’s the 20x is offering! The 20x has a 2.2-inch display which has sunlight readable feature like the 30x. The resolution of 20x is 240×320 pixels. Like the 30x, it also has 3.7 GB internal space and external memory slot feature. You can load a variety of maps in it. It also has a preloaded base map. It can maintain and track your location in heavy cover. The 20x also has the feature like Hotfix satellite prediction. You can save 200 routes, 200 tracks and 10,000 points in it. If you see carefully, then you can find the 30x and 20x doesn’t have that much difference. So, it’s still best for the time and according to us, it worth your money. So, if you’re a guy who loves to go in hunting with the bunch of people, then a GPS tracker is something that can help you out! For helping a team guy, we decided to review a best GPS tracker under $200 of the market. 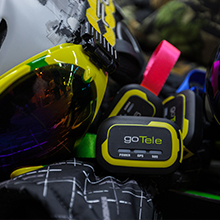 It is goTele’s GPS tracker. 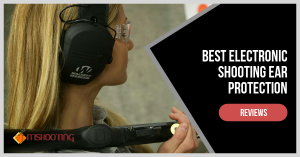 It is well-known for its performance and versatility. So, without wasting many words let’s see what it has to offer for your team! Nowadays almost all the product require monthly/yearly or one-time purchase add-ons. However, it has nothing like this. The tracker is offering you communication without any sim, network, wire or Wi-Fi. For a long hunting tour, what more do you need? It is durable enough. It is waterproof, dustproof and shockproof too. According to some users, it has anti-fall feature too. Is that only for hunting or hiking? Hell no! 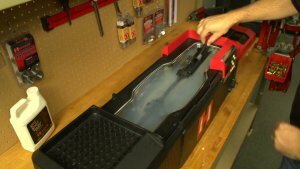 You can use it for older and also for your pets. If somehow they lost, you can easily find them with the help of it. You can stay connected with your team if you’re within 3-5km distance in a suburb or 1-3km distance in the inner city. The only problem is, sometimes the treks or mountain affects to connect. The application of it is Android and iOS supported! So, anyone can use it. You’re getting two packs of it the package, and for using it, two boxes are essential. No sim, network or even cell service needed. You can check the live-location of your teammates. By using the app, you can send the message to each other. The max coverage of it is 1.8-3 miles. It performs at its best when each member of your team have one of it. The max range of it is also a disappointment. If you’re out of the range, consider yourself as lost. If the battery of your phone dies, then the device has no use. However, if you’re in danger, still you can send SOS from the device. If you go hunting with some of your friends more often then it’s a definite choice for you. However, don’t forget to get it for your friends too. Garmin is a big brand, and they’re serving the world from the past 29 years. They’re famous for their products in several industries like automation, aviator, marine, etc. 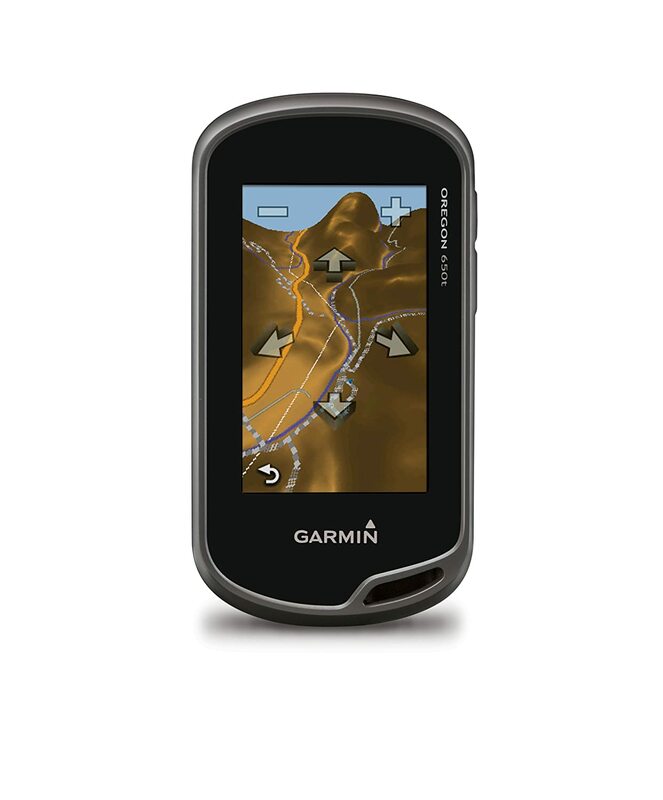 When it comes to portable GPS industry, Garmin is known for its new features and specialism. They invented their first GPS device in 1991 which was a successful one. From that year to now, they never had to look back. 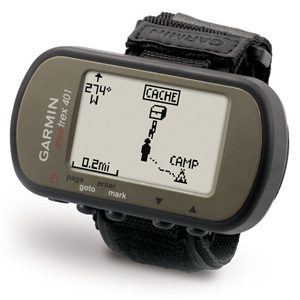 At the beginning of 2000, Garmin decided to make something new and more helpful, and they made the first product of eTrex series. 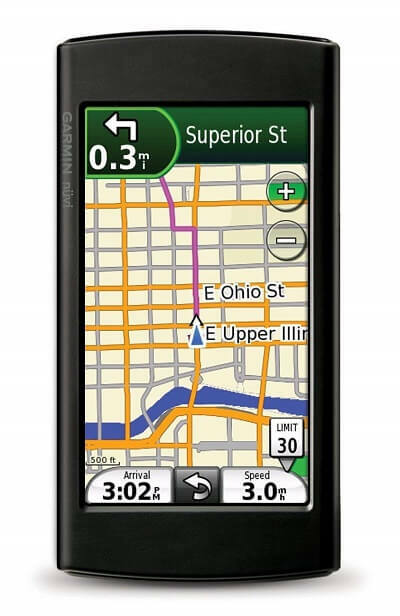 Even today, eTrex is one of the most famous sequences in the portable GPS industry. 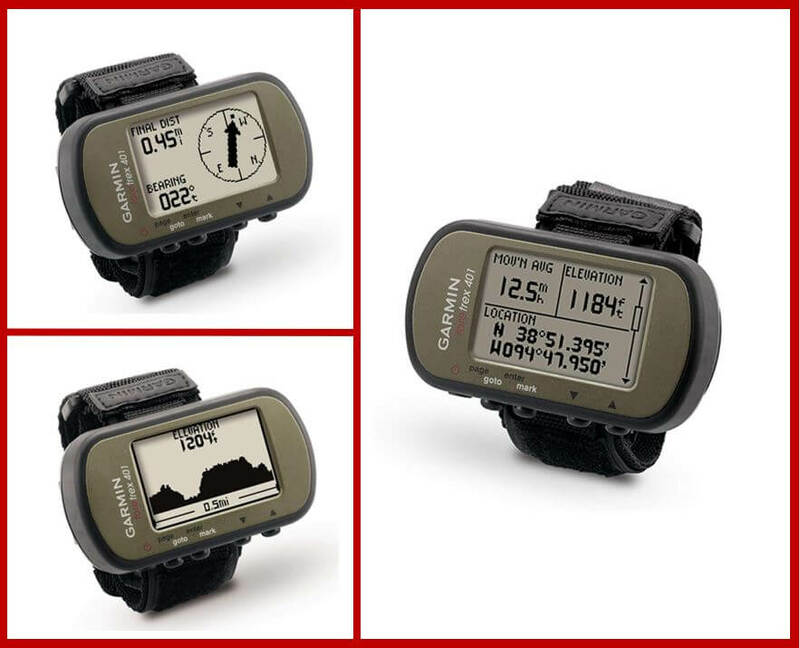 Garmin is an up-and-coming brand. 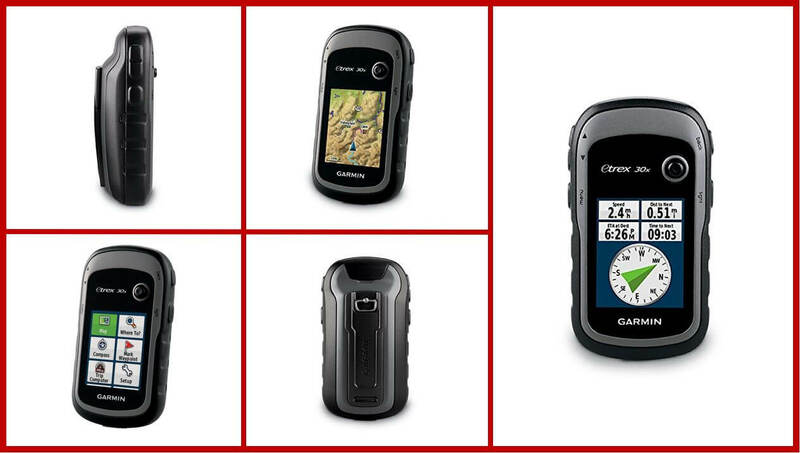 Garmin’s GPS devices are known as hunter’s best friend. For a reason, today they have got the largest community of hunters who love their product and the hunter o the community sticks with their product for years. Many times, we lose our destination while hunting and we discover ourselves in an unknown and horrible place. Whenever we face this kind of situation, we start thinking, and it’s the last day of our life. You can also feel how lousy feeling it is. Thanks to the handheld GPS for saving our life. It can help you to stick with the right direction and still if you’re lost it’ll show you the way out. Hunting at night is very adventurous, and it can be dangerous too. Let’s assume, while hunting at night, you shot a deer, and the deer are running out of your radar. What will you do? You may think, you’ll follow the blood to get your prey but is that easy at night? No, it’s very tough and risky, and you can lose your direction too. In that situation, hunting GPS is your best friend. It’ll trace the blood mark and help you to get the buck without getting lost, no matter how dark the night it is. While hunting, if you or your friend got hurt or injured, you’re in a severe problem. You have to go to the nearby medical or support center which is an hour away, and you don’t have any phone network, how bad the situation is? At the case, a GPS is life-savior. It’ll send a distress signal via satellite, and the nearby emergency rescue force will come to help you. Some device also gives you the opportunity to let your family know that you’re safe or not! So, this device can do more than a friend to you. So, these are the main advantages of using a portable handheld GPS device while hunting. Now, what do you think? Is it helpful and essential or not? If you think it’s useful and life-savior, then let’s go and grab one of these best hunting GPS. A decent backlit Screen with bright sunlight visibility: The first thing you’ve to find is, those your device have a backlit screen and sunlight visibility or not? It’ll help you to see in the night and also on a bright sunny day. Battery life: According to us, the best hunting GPS needs to give at least 15 hours of performance after one charge. If it has more than 15 hours of performance time, then you’re safe. External storage: It’ll help you to upload more maps and more routes to it. If you’re a regular hunter, it should be a big concern too. Accuracy: If your GPS isn’t accurate then it has no use. Always try to get a GPS with a high accuracy rate. Waterproof: Besides hunting, if you love to do fishing then waterproof should be your concern too. 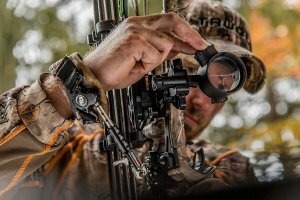 Before getting a portable hunting GPS always consider these features. 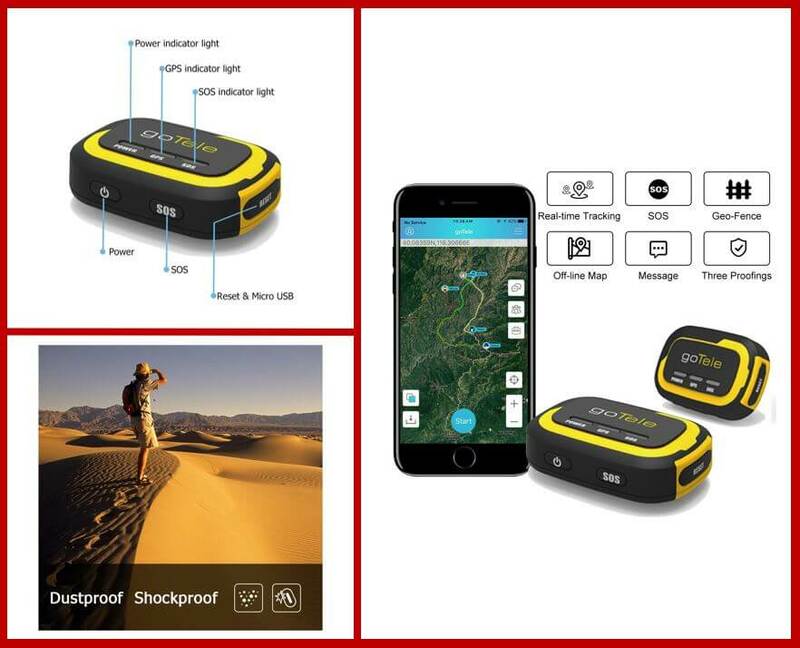 If you’re someone who loves to go hiking, trekking or hunting then a handheld GPS device is like a “Best Backpacks on budget”, it’ll also help you in every step. For your life’s sake, you should get a GPS device otherwise if one day unluckily you lost your direction and faced any problem, it’ll cost your life or at least more than $200. So, without wasting time, get any of these best hunting GPS under $200 and use it from your next hunting tour. Cheers!